What is the highest mountain in the U.S.? How many states does Washington D.C. border? Which of the following states does NOT have a coastline on the Gulf of Mexico? What is the largest U.S. desert? 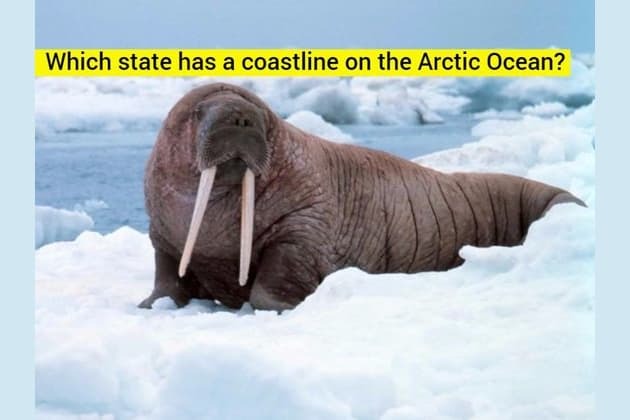 Which of the following states has a coastline on the Arctic Ocean? Which of the following is NOT one of the Great Lake states? The Mojave Desert occupies portions of how many states? And finally, where does the Rio Grande river originate? Nailed it!! You're a master of American geography!! Are you a master of American geography?